Our sister business, which is on the lower level of the clinic, offers a spacious comfy cattery with 4 styles of accommodation (Royal Suite, Large Suite, Medium Suite and Kitty Condos). 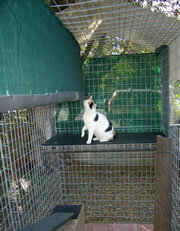 Being situated in Brisbane’s inner-city makes our cattery convenient to all Brisbane suburbs. Every style of accommodation includes lots of cuddles and attention. Your cat will feast on premium Hills Science Diet food whilst in our care. 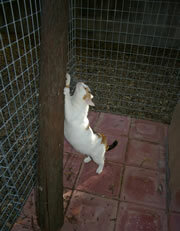 If your cat loves to get out in the sun and watch the wildlife we have a secure outdoor enclosure available. It has ramps, tunnels and a scratching post. Playtime starts from $6.60/session (one cat). Please note that the playtime enclosure is in an outdoor area and allows cats to jump, climb and catch some sun- rays; therefore we do not recommend playtime for cats who are over 10yrs old or those with serious medical conditions. Playtime will not be available on rainy days and outdoor playtime will be limited during the hotter months of the year for the safety of your kitty. Oral Medications: Oral medications can be administered by our trained staff once daily, if oral medications are required more than once daily we can give those ONLY on regular business days (i.e. Monday – Saturday on non public holidays). Oral medication can only be given once a day (in the morning) on Sundays and public holidays. 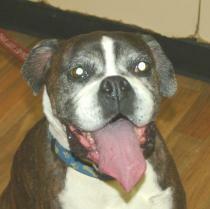 Charges apply for administering oral medications. Topical Creams and ointments: Topical creams and ointments can be applied once daily, if applications are required more than once a day we can do those only on regular business days (i.e. Monday – Saturday on non public holidays. Topical creams and ointments can only be applied once a day (in the morning) on Sundays and public holidays. *Details of any medication to be administered must be provided to us when booking your cat for boarding – see the above section for more information. Please remember we cannot board diabetic cats that are not patients of Wilston Vet. We do not have high or low seasons. However, a peak season surcharge will apply for all cats boarding over the Christmas and New Year break. All cats boarding will be subject to a $50 per cat surcharge. ($30 over Easter) Please note we close for admissions and discharges between Christmas and New Year and all cats boarding during this time will be advised of the latest admission day and earliest pick up available. Testimonials-Thank you soo much for taking care of my cats for me in the past month. I am so happy you cared for my kitten Cocoa and she came home very healthy and happy….Shanti also seems the same but they are both glad to be home and together again.